High quality twin 4K2K HDMI wall plate with a short 15cm female / female connections. 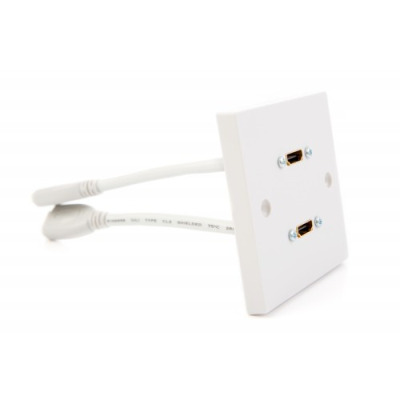 The HDMI faceplate is a plug and play installation with female sockets either end with no onsite soldering required. UltraHD 4K2K specification. Cable Specification - High Speed with Ethernet (cable specification with in the HDMI 2 version, 3D, Deep Colour, UltraHD (3840 x 2160) Full HD 1080p (1920 x 1080).